Samsung's latest smartphones from the Galaxy S10 Series are already receiving software updates. No, these aren't Android version upgrades since the phones were launched with Android Pie. In fact, the updates bring the latest security patch as well as a few other improvements to the Galaxy S10e, Galaxy S10, and Galaxy S10+ smartphones. 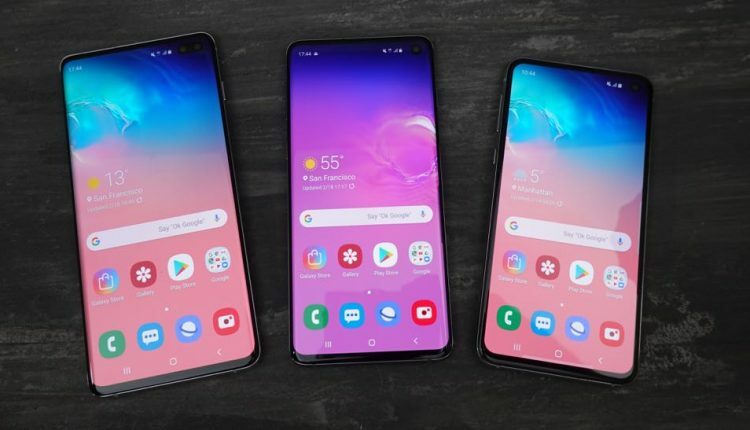 The Galaxy S 10 smartphones were recently launched in India with prices starting at Rs. 55,900 for the Galaxy S10e and going all the way up to Rs. 1,17,900 for the top-of-the-line Galaxy S10+. The new update that is currently rolling out to Galaxy S10 -series smartphones brings enhanced security thanks to the March security patch. The changelog of this update also mentions improved performance for the Wireless PowerShare feature on these smartphones. This feature allows the three Galaxy S10 smartphones to wirelessly charge other devices. While Samsung mentions improvements, it hasn't given the specifics. We used this PowerShare feature when we reviewed the Samsung Galaxy S10+ and found it useful to charge the Galaxy Buds. Samsung also mentions improved camera stability, which is similar to the first update it rolled out for the S10 Series. These new updates come with software version G970FXXU1ASC8, G973FXXU1ASC8 and G975FXXU1ASC8 for the Galaxy S10e , Galaxy S10 and the Galaxy S10+ respectively. According to a report in SamMobile, the update is currently rolling out in some European markets, including Germany and the UK and could take time to reach other regions. We tried looking for the update on our Galaxy S10+ but it hasn't hit our device yet. If you have a phone from the Galaxy S10 Series, you can wait for the update notification or check for it manually by going to Settings > Software Update > Download updates.